Celebrate National Cheesecake Day with Half Price Cheesecake Day. July 30th is National Cheesecake Day and the Cheesecake Factory has an awesome promo for you. 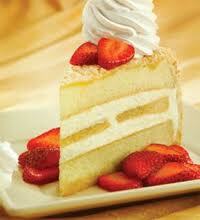 On July 30th and 31st, you can pick any slice of Cheesecake for Half Price. Yum!